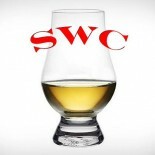 While we rage, rage against the dying of authenticity, or, the common business practice of companies purchasing already aged whiskey, bottling it under their label, and sometimes lying about it, you can’t fault a business group for being upfront about it. At least I don’t. Not too much, anyway. There is a perceived gap in the skill required with this model, and therefore when compared to Buffalo Trace or Dry Fly here in Spokane, your little outfit doesn’t look so “artisanal” or “hand crafty” as you say it is. The industry has certainly shown us examples of where this method can succeed, both financially and critically. High West comes to mind. Compass Box is another great example. But these outfits don’t just source a good whiskey, they source many whiskies and blend them together for something new, and that there is a big difference, friends. 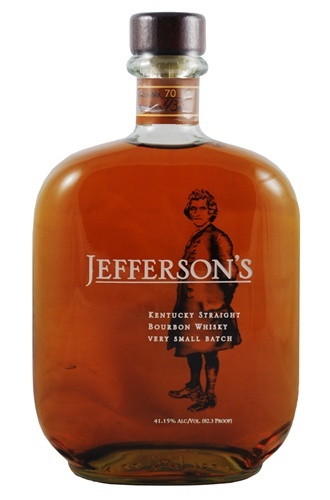 Trey Zoeller and his father Chet started doing this very thing back in 1997 for their sourced brand of bourbon whiskey: Jefferson’s. And they remain a good example of how an NDP can retain some artistic acumen while not producing a single drop of their brand themselves. Nose- Light vanilla and candied toffee, as one might expect, with a honeycomb thing. Light mix of berries and fresh cut wood. Herbal. Marinade. Off putting meaty note after time. Taste- Mellow buttered corn, mild medicinal notes. Bland. Finish- Short. Some corn sweetness with a bit of barrel char, drying with spice and a metallic note. Comment- Ouch. Lack of cohesive classic bourbon flavors, not that there must be, but overall is missing a basic drinkability. Finish is drying but approachable. Perhaps we are dealing with some bad batch variation here. Serviceable, but disappointing.